On a clear day we can see Brean Down from Cardiff. 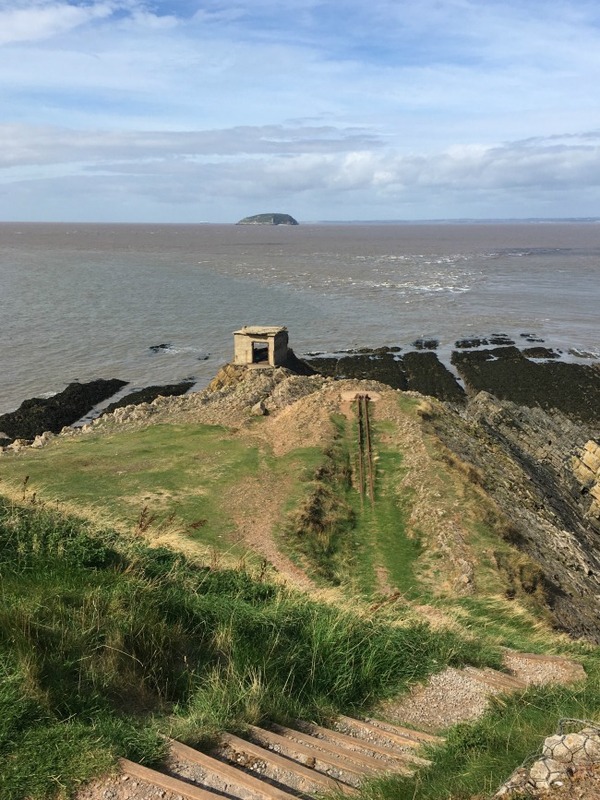 The headland sticks out into the sea which as the crow flies is only 13 miles away. Unfortunately we have to use the roads so it's 63 miles and a toll bridge (return journey only. Tolls are being scrapped from Dec 2018), so is it worth the bother? Absolutely! 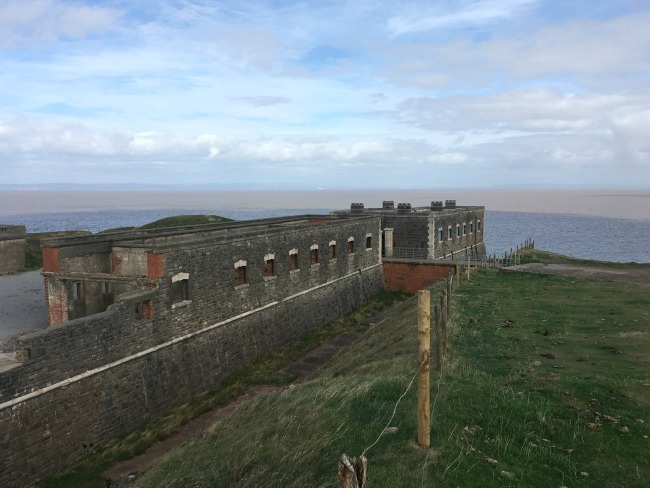 The views from the down are wonderful and at the end is the ruin of a Victorian fort. 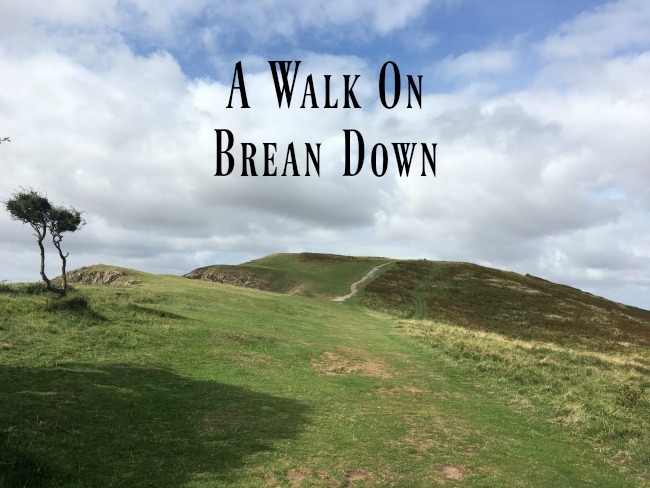 Brean Down has a history from the iron age, through the Romans to World War II. 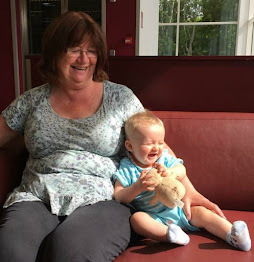 Parking is at the National Trust car park (free for members) or at the cafe. There is a car park for the beach but keep going and right at the end of the road is the cafe, just before on your left is the National Trust car park. There are toilets here too. The route up onto the down is either via steep steps, or to your right a small traffic free road. The road is still very steep but for those of use with bad knees a welcome alternative to the steps. 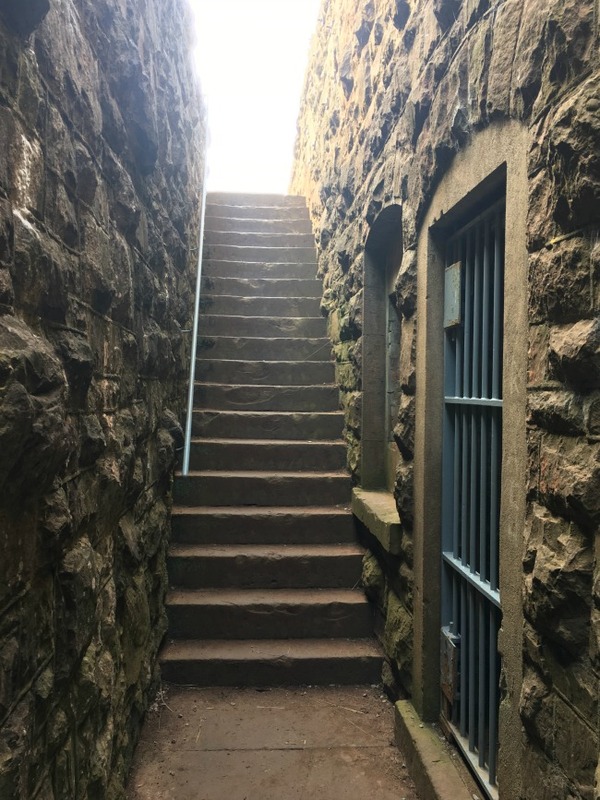 The steps are a more direct route. The National Trust parking can be seen on the right with the cafe parking on the left. The evidence of World War II is evident all over the down. 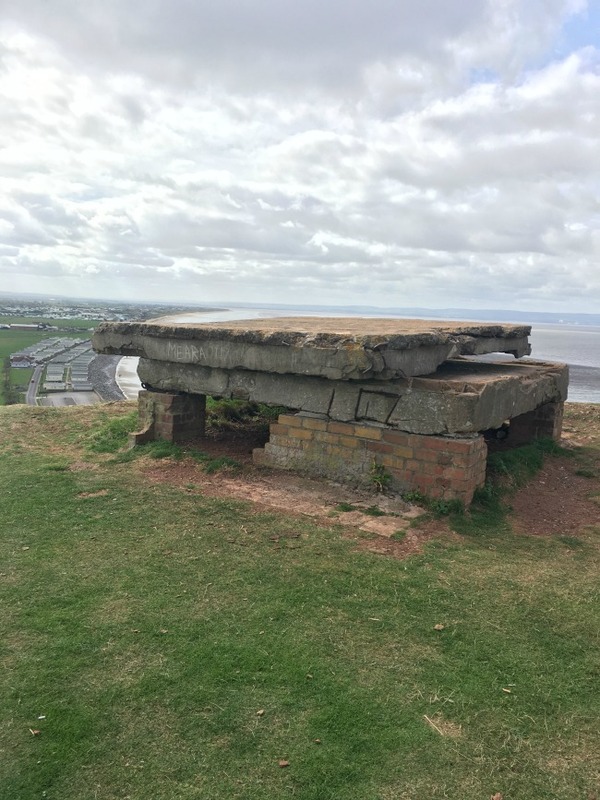 Near the steps is a ruined pill box, a WWII look out. Slightly further along there are brick machine gun emplacements. These were used for target practice during the war. 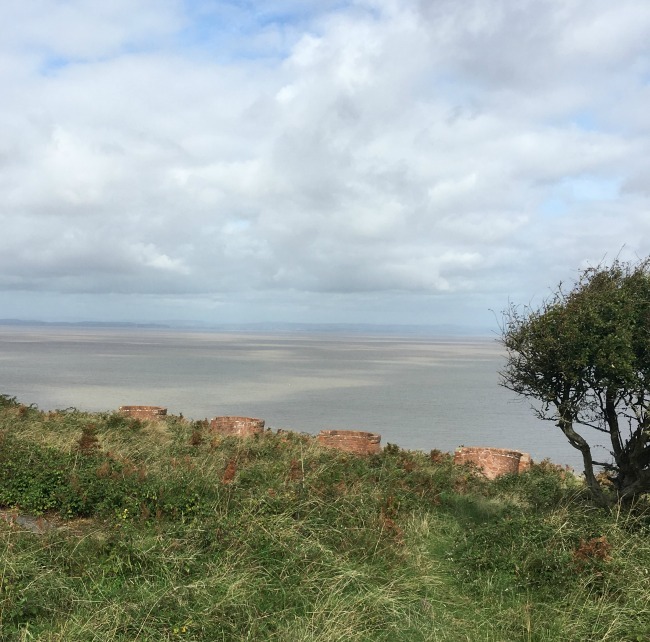 The targets were placed in Weston-Super-Mare bay which is easily visible from the ridge. 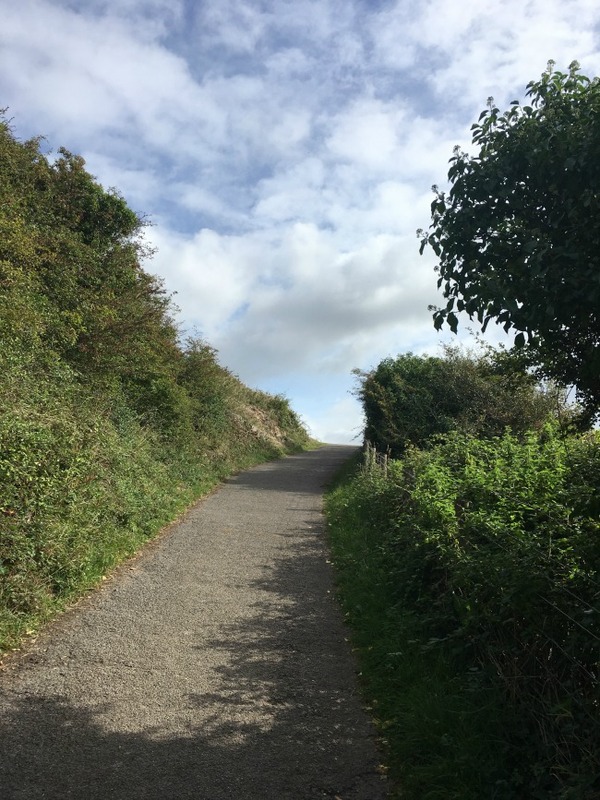 The path to the trigpoint at the top is easy to follow and gently undulates, if you can get up the road or steps the rest is easy. 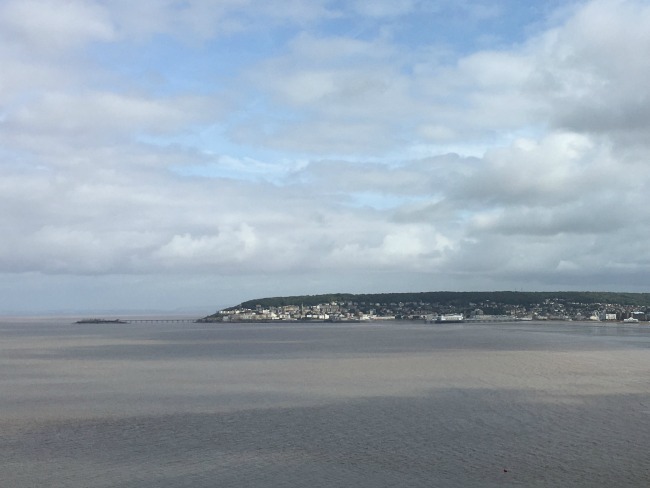 There are amazing views across to Wales and Weston Super Mare. 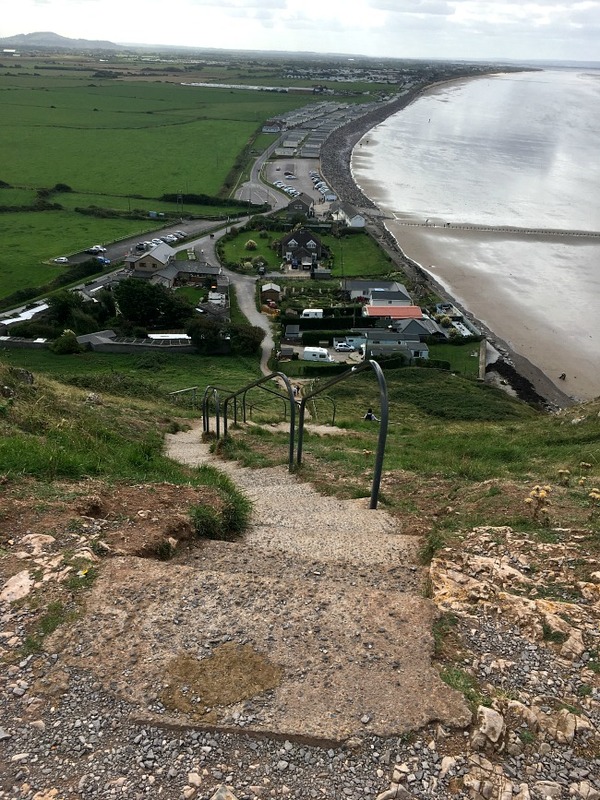 In the other direction there are views to Glastonbury Tor and of course, Brean beach. 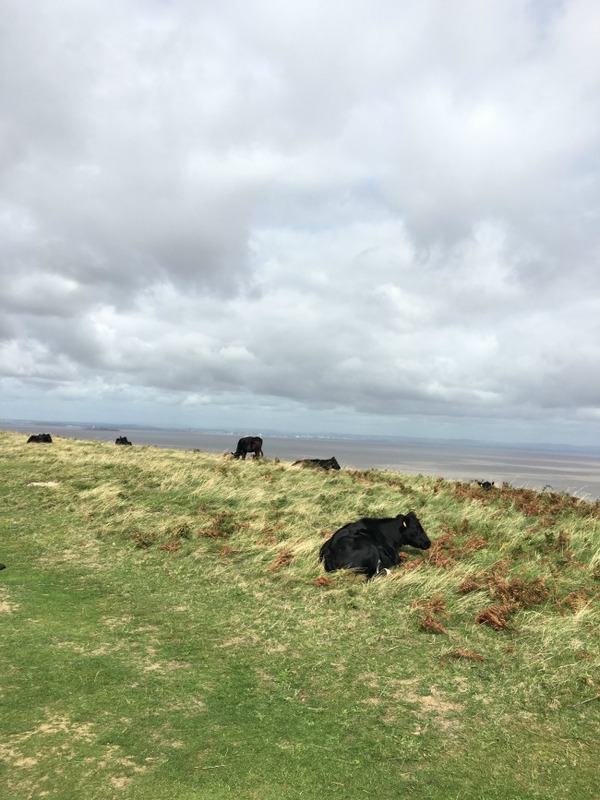 Brean Down is a nature reserve and amongst the wild flowers we found cows grazing. I am a bit nervous of cows as they seem to like me and usually wander over to have a look. These couldn't have cared less and didn't even look up. The ruins of the fort are visible from the ridge and are open to the public. The fort was built in the 1860s after Queen Victoria had visited France and was concerned about a possible invasion. 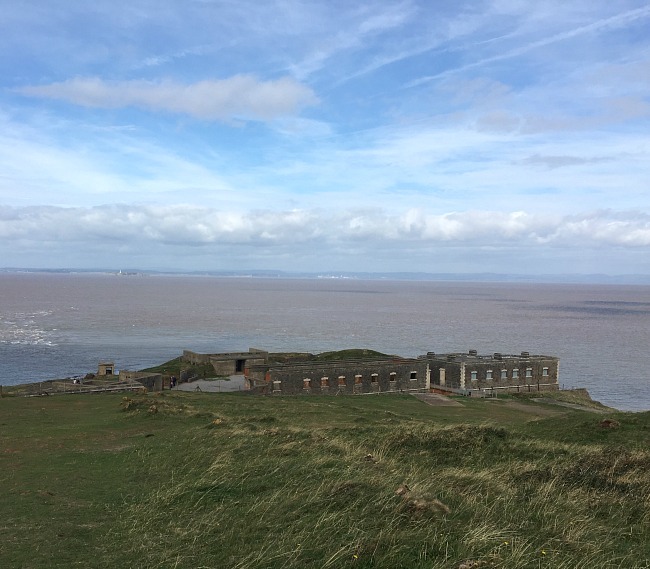 There are also fortifications on Steep Holm and Flat Holm in the Bristol channel. 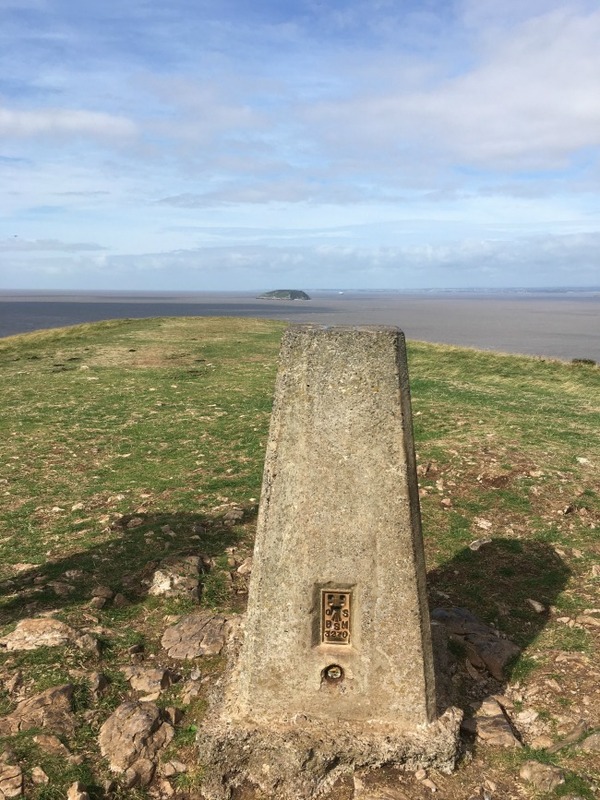 Clearly visible from the down and fort is Steep Holm. The fort has been partially restored by the National Trust with information boards explaining each building. I should have taken photos but one building had a mens urinal, and another had the remains of what looked like womens facilities. Drainage holes in the ground and pipes that would have connected to toilet pans. This intrigued me as I didn't expect women to be stationed in the fort. 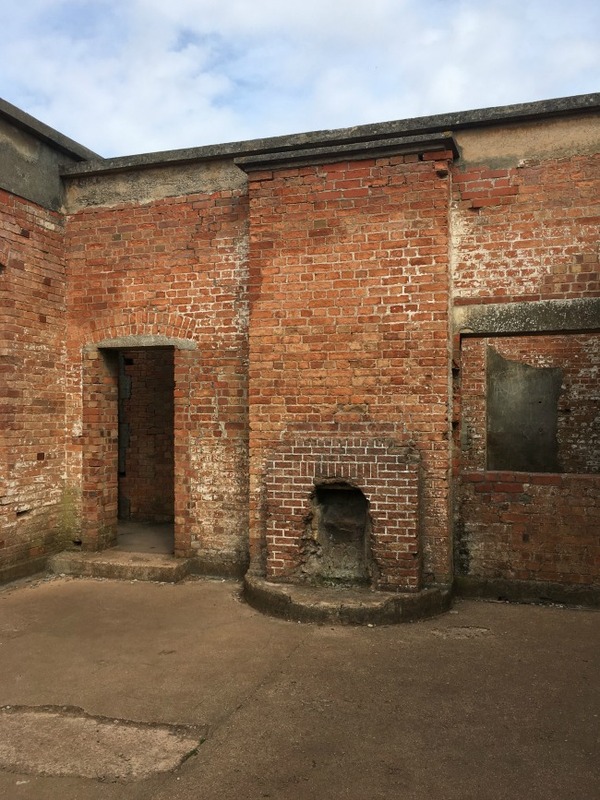 A visit to the barracks and the board explained that men and their families would have lived in the barracks. There is a separate buiding for officers, but at present that is closed off to the public. 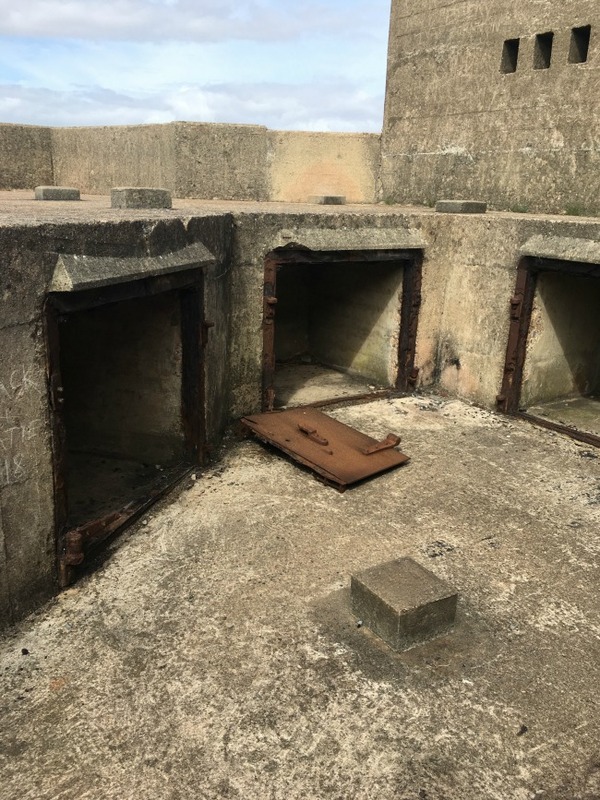 A view down to the search light emplacement and tracks of the "bouncing bomb"
One information board tells the story of the experiments that took place here during WWII. One was of a "bouncing bomb". It was supposed to run along the tracks and on impact with the buffers, launch into the air. Instead the speed at which it descended set it on fire and it exploded taking part of the cliff with it! We enjoyed our morning on Brean Down. There were people on bikes too as one route is the old military road. The down is very exposed except for the fort so decent footwear is essential and keep an eye on the weather. There is no shelter at all and it is a bit blustery. On a good day it is a walk suitable for the whole family.